There is no denying the neoclassical nature of the sophisticated architecture planned by Luigi Vanvitelli and his students for the residences of the Bourbon monarchs. Beginning with the discoveries that emerged during the archaeological excavations at Pompeii and Herculaneum, launched in 1740 by King Charles of Bourbon, a new taste for classicism developed in Naples, in keeping with the cultural and artistic trends in Europe as a whole. This was closely adhered to by the new school of architects and artists that worked under Vanvitelli in the Caserta area in the second half of the eighteenth century. The most important achievements to emerge from this are the Palace of Caserta, considered Vanvitelli's masterpiece, and the royal sites designed by Francesco Collecini, one of Vanvitelli's best students, such as the Casino of San Leucio with the districts of San Carlo and San Ferdinando, plus the adjoining district of la Vaccheria and Carditello, close to San Tammaro, halfway between Naples and Caserta. Not far from the Palace of Caserta stands the Villa Porfidia, immersed in an extensive hanging garden with a wealth of exotic and rare plants. 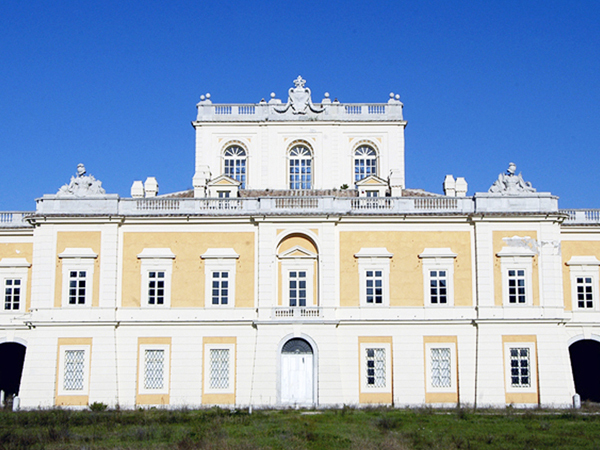 The villa, known at the end of the eighteenth century as the Real Castello Borbonico, or "Royal Bourbon Castle", became the residence of the Guevaras of Bovino, who moved there when the Neapolitan court transferred to the Palace of Caserta. Annamaria Guevara was a lady in waiting to queen Maria Carolina and obtained the privilege of using the water from the Carolino Aqueduct for the villa's garden.